A lovely wedding tradition is for the bride and groom to write each other letters that are read shortly before the wedding. What an appropriate time to express deep and abiding love for one's future mate and to celebrate the qualities of the betrothed that are cherished. A letter also provides a perfect way to share hopes and dreams for the future. It’s intimate, personal, and lasting. 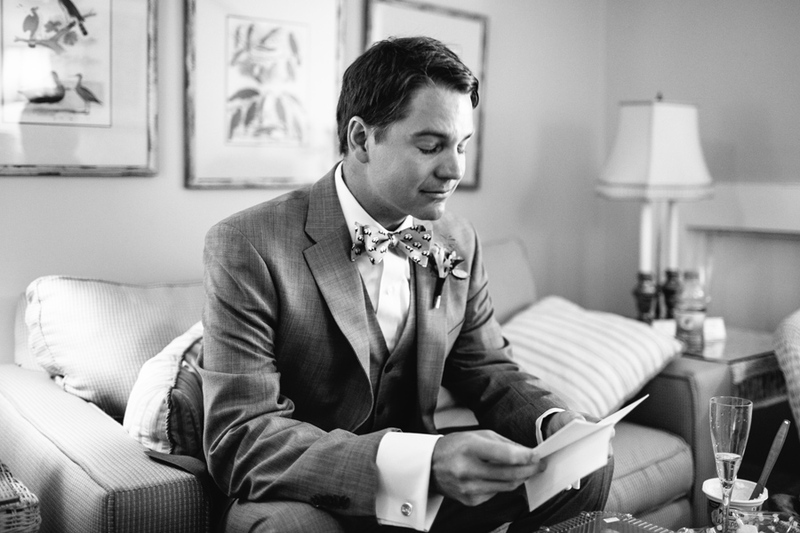 A wedding also provides an opportune time for letters between the parents and the bride and groom. A new season of life is beginning for the couple getting married, but it’s also a change in seasons for the parents. The main job of parenting is completed. A letter from the bride and groom to each parent expressing gratitude and affirmation for how they lived out their role as mother or father. What a treasure for a mother to have a note from her son, affirming who she has been as a mother. As happy as she is about her son’s marriage, she might feel a twinge of sadness that she’s no longer the most important woman in her son’s life. Knowing that her son values her character and her countless sacrifices is a priceless gift. A letter from a mother or father to their child as a written blessing. Perhaps you’ve never expressed affirmation to your child in writing. It’s the perfect time. As your son or daughter now becomes a husband or wife, tell them what it’s meant to you to have been entrusted with the role of being their parent. Share the character qualities about your child that you think are so special, and how those qualities will serve them well as a husband or wife. Tell them your prayers for their marriage. Offer your best piece of marriage advice. Perhaps your child won’t give you immediate feedback that the letter was meaningful. (After all, they’re about to get married.) But having your letter as they make this most important commitment will provide a touchstone they can refer to in the years to come. A letter from a mother to her future daughter-in-law. At a Leave Nothing Unsaid writing workshop, one mother wrote a beautiful letter to her future daughter-in-law. And she decided to read it aloud at the upcoming rehearsal dinner. Words that will matter forever. That’s what these letters will provide. If there’s a wedding in your future, please…leave nothing unsaid.